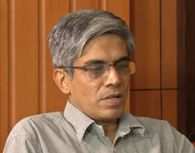 Dr. Bala Bharadvaj is currently the Managing Director of Boeing Research & Technology-India based in Bangalore. In this role, he provides leadership to Boeing’s Research, Technology and Engineering activities in India with a focus on building partnerships with Academia, Govt. organizations, and industry. Dr. Bharadvaj has been with The Boeing Company since 1987 and worked in Southern California (USA) for many years before moving to India in 2009. He has held various leadership positions in Technology Development, Technology Integration, Engineering, Program Management and Strategic Planning. Prior to joining Boeing, he was on the faculty of the Aerospace & Mechanical Engineering Department at Boston University, Boston, USA. led the development of long-range technology plans for Boeing Defense, Space & Security Systems. During this journey, Dr. Bharadvaj has been honored with several awards, notably the “Monie Ferst Award” for the Best Ph.D. Thesis by Sigma Xi Scientific Research Society, “Team Excellence Award” and “Group Achievement Award” from the National Aeronautics and Space Administration. He has also been recognized as a “Quality Hero” and “Process Management Role Model” by the Boeing Long Beach facility. MBA from the University of California at Irvine, California. Dr. Bharadvaj is an Associate Fellow of the American Institute of Aeronautics & Astronautics, and a member of Beta-Gamma-Sigma Business Honor Society. He is also an active member of SAEINDIA where he chairs the Aerospace Board, a team of eminent aerospace leaders from India who have come together to help develop a community of interest to enhance the aerospace ecosystem in India. He is also a member of the Air & Space Group of SAE International.